Sideshow Collectibles is proud to introduce the Lighted Display Case in Regular Size and black color from Legend Studios. 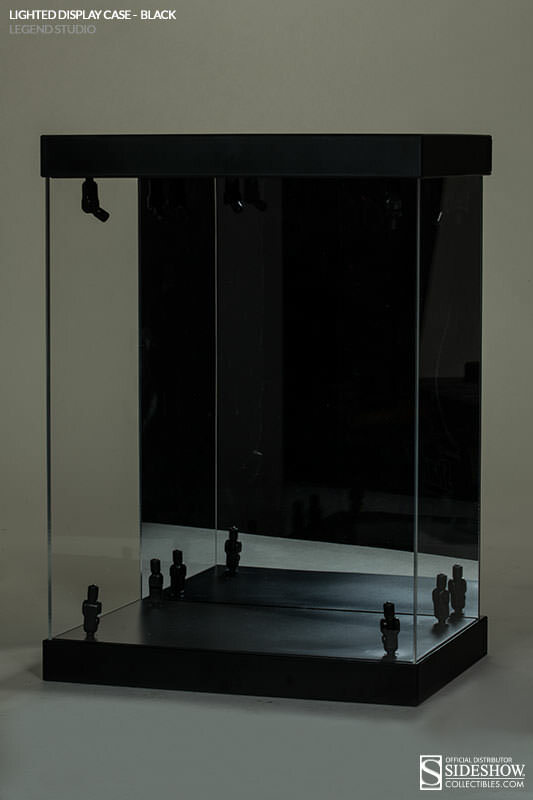 Featuring 8 LED lights, this display case is the perfect way to show off 1/6 scale collectibles. 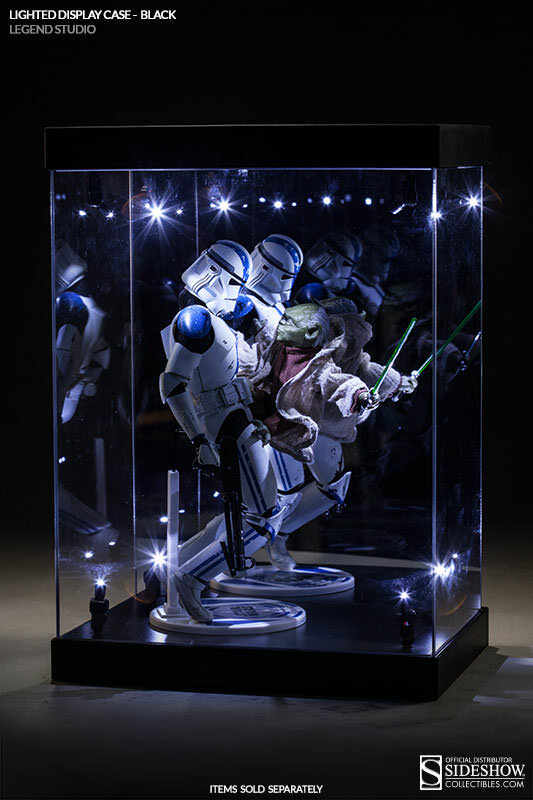 The Lighted Display Case Regular Size is powered by 3 AAA Batteries or the included USB power cord and will make the perfect addition to collections worldwide.